I will be telling everybody I know about this app. Now I can finally get PDF documents to keep with all the rest of my electronic files that are PDF’s instead of getting pictures of documents in JPEG. I had no idea that this app existed until today and I am just thrilled. I am not one who normally leaves reviews so that should give you some idea of how happy I am with it. One of the main reasons is it’s easy to use. All you do is take a picture of the document via the app and instead of a JPEG file it’s a PDF. Since the documents can be uploaded to the Adobe cloud you can access them from any of your devices, as well as, share them with anyone you want. Those that you share with can also make edits and/or include their comments. You can track whose made which comments or changes to the document and you can convert the PDF document to Word. I have already sent it to a client so he can stop sending me pictures of his receipts and instead send them in a PDF document. He can take pictures of all of them and then combine into one document, as well as, arrange the pages in whatever order he wants. There are just so many great features and a lot of them. It’s a great business tool at least for my type of work. Obviously, I highly recommend it!!! This app is intuitive, fast, and the integration with Adobe CC and Document Cloud is perfectly seamless. I can “scan” a document using my iPhone camera and it’s immediately available as a PDF in Acrobat Pro on my Mac. The app assigns an appropriate color profile to the document, so space use is efficient—no outrageous file sizes for a B&W text document. It even attempts to recognize text, with surprising accuracy, enabling copy and paste functionality! My only grievance, if you can call it that, is the automation of the scan functionality... the app captures the page as soon as it detects a document, even if you’re not ready. This means that you might have 6-7 scans of the same document by the time you have everything perfectly straight, positioned, and in focus. It’s really not a big deal to go back and delete the pages you don’t want, but it does add an extra step. In a future update, the developers might consider adding a manual option, allowing the user to tap a “Scan” button to trigger the page capture. Overall, this is a fantastic app, and I look forward to new features as they come. Shocked and Awed!!!! Excellent tool! Incredibly handy, effective, and helpful. Take a moment how to learn how to use this app/software, and you won’t be disappointed. I’m not even super techy and it wasn’t hard to operate. I really could go on and on, but give it a try and you’ll definitely see yourself, especially if you’re a regular desktop to PC scanner. Ahhhhhmazing! 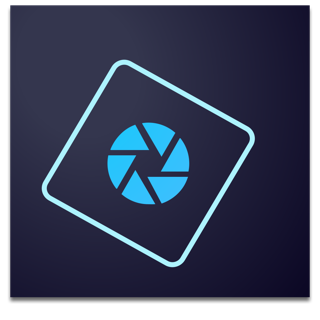 If you don’t have access to a desktop scanner, or can’t get yours up and running, or on the go and can’t get to one and need to scan something, this is hands down one handy app. For personal or business use, it’s going to deliver. With this app on the go, you could literally work from the tailgate of your truck if you had to. It’s actually so cool and easy, it makes you want to scan stuff that you’d normally not, or put off. If you can hold your tablet or phone steady for pictures, then you can scan with this. Not to mention all the extra tools and features. As always, through the decades of use, Adobe continues to deliver and stay up on top of the technology game.